What do numbers mean? How much does Walmart’s wage raise affect profits? Walmart created news when it announced that it will be paying its 500,000 employees more than the minimum wage. 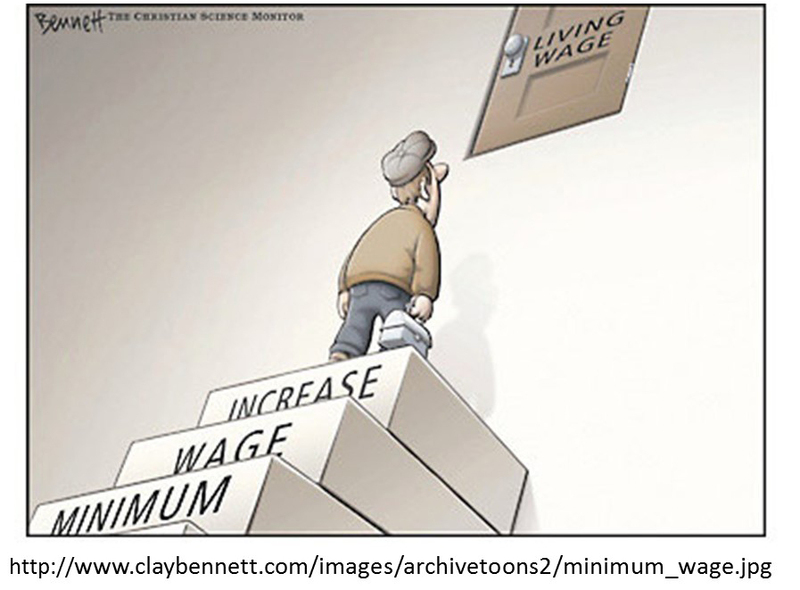 The largest increase would be an increase of the entry-level wage from the US minimum $7.25 to $9 an hour; howver, the overall increase in minimal. As Jody Knauss and Mary Bottari point out, The company forecasts the average hourly wage for full-time workers to rise 15 cents an hour, from $12.85 to $13.00, while the average for part-timers will bump up from $9.48 to $10.00 per hour. This will still still leave most of its workers beneath the poverty level and relying on food stamps to make ends meet. The actual cost of this wage raise for Walmart is one billion dollars. This seems impressive; however, this number is not meaningful without knowing the financial state of the company. The company’s estimated profit for 2014 was $16.36 billion on annual sales of $485 Billion. For more details see the Walmart’s financial summary. The one billion dollars to increase the salaries is an impressive sound bite, but it only a 6.1% decreases the company’s profits. It will still leave more than 15 billion dollar in profit and more than 150 billion dollar wealth for its owners. Given the profits and wealth, Walmart should be ashamed to keep its employees in poverty. It should offer its employees an actually living wage of at least $15 per hour.